Authorities investigate a report of a suspicious package at the Downers Grove Public Library. 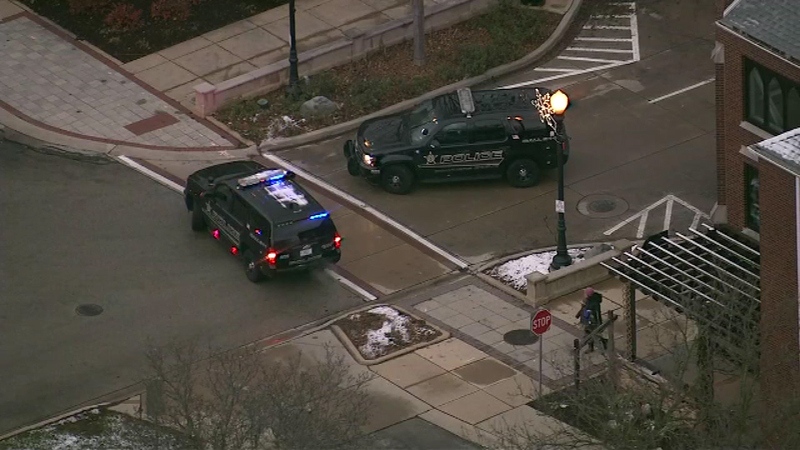 DOWNERS GROVE, Ill. (WLS) -- Authorities are investigating a report of a suspicious package at the Downers Grove Public Library. Downers Grove Police Chief Kurt Bluder said an employee reported a suspicious package located in one of the library rooms. The library, located at 1050 Curtis Street, has been evacuated. The DuPage County Sheriff's bomb squad has been sent to the scene, Bluder said.